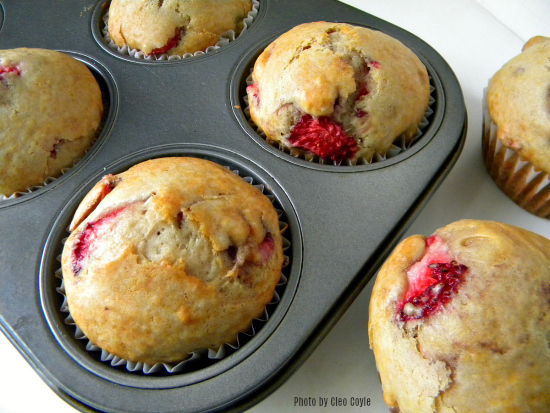 This is one of my favorite summertime muffins. 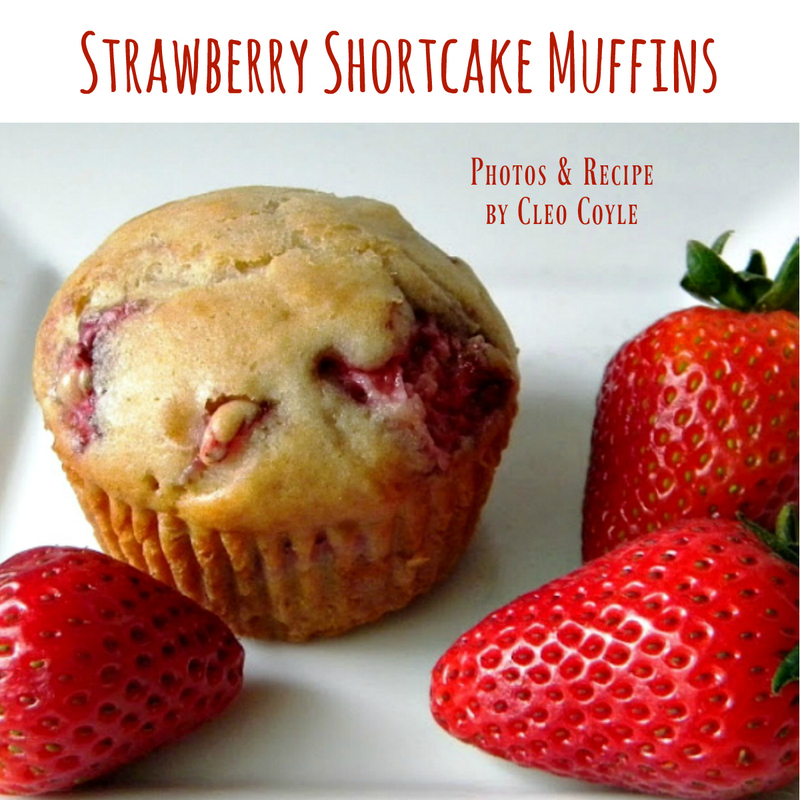 It has the taste of a strawberry shortcake but with less fat and calories, making it a lovely breakfast or coffee-break snack. 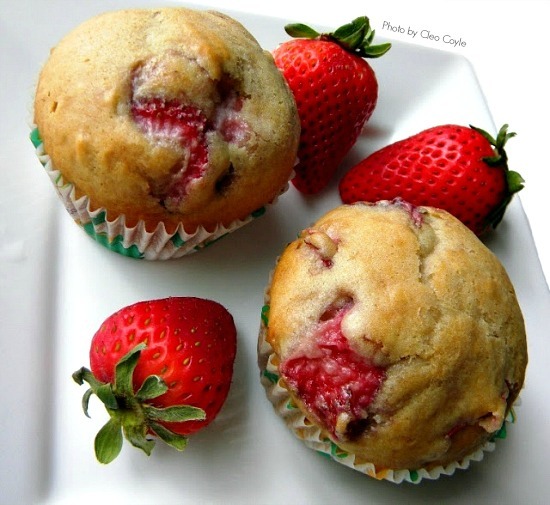 These muffins are a real treat when fresh strawberries are in season. 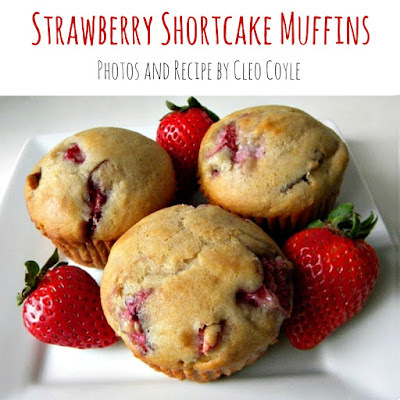 As I mentioned, they have the taste of strawberry shortcake but with less fat and calories. 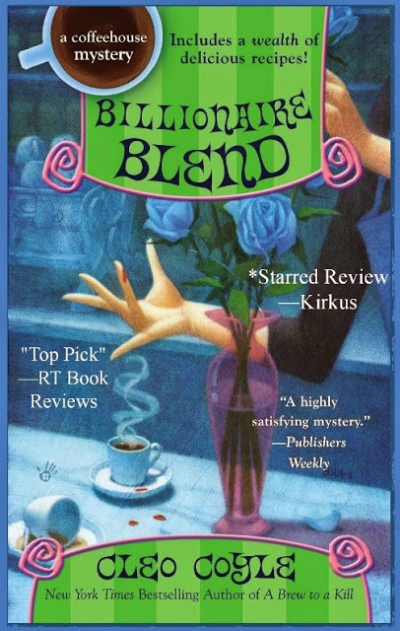 If you should want to make them richer, you certainly can. Simply replace the low fat milk with whole milk, half-and-half, or heavy cream. Step 1 - Prep oven, pan, and berries: Preheat oven to 350º F. Line six muffin cups with paper holders. 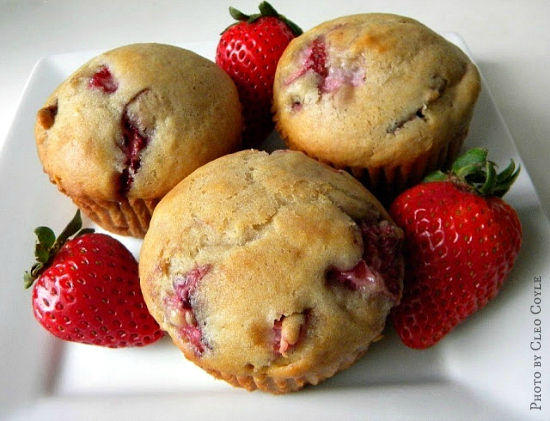 To prevent muffins from sticking, lightly spray the papers with non-stick spray. 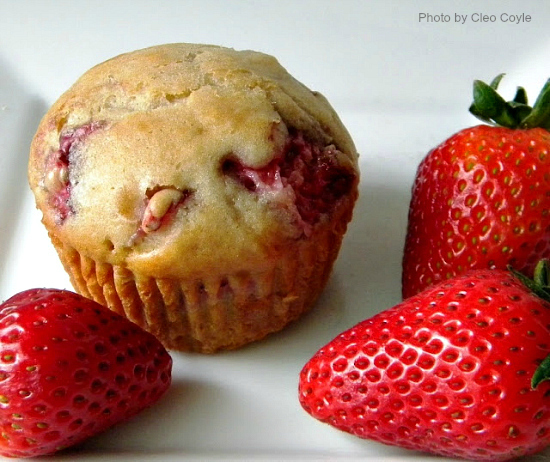 Wash your strawberries and gently pat them dry with a paper towel. (It's okay if they're still damp.) Hull them (see how below) and chop them into small, uniform pieces. If you slice them over a small bowl, you'll retain more of the juices. 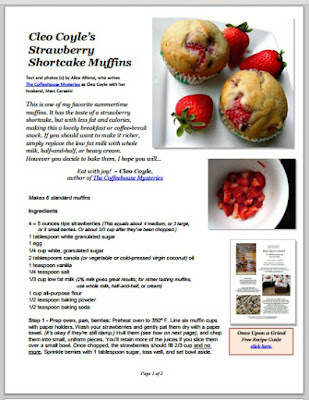 Once chopped, the strawberries should fill 2/3 cup and no more. Sprinkle berries with 1 tablespoon of sugar, toss well, and set aside the bowl. Batter before flour is added. Step 3 - Add dry ingredients: Measure flour and pour into the wet ingredients. With a spoon or spatula gently mix dry and wet ingredients to form a lumpy batter. Do not over mix at this stage, but be sure to blend the raw flour completely into your batter. will be tough instead of tender. Step 5 - Cooling and storing: Allow the muffins to cool for five minutes in the pan. Remove and finish cooling on a wire rack. Once they're completely cool, you can wrap them in plastic and store them in the refrigerator. 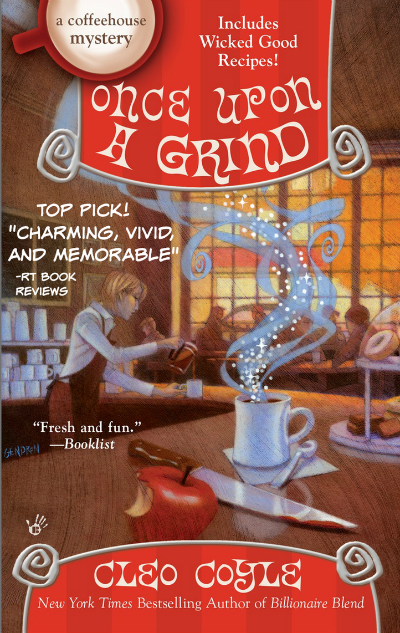 A little butter, a cuppa joe, and you're set for breakfast, a coffee break, or a late-night snack.